Whenever there is something wrong with your motor home, travel trailer, camper, or fifth wheel, we are here to help. At PETE'S CERTIFIED MOBILE RV REPAIR in Central, TX, our expert repairmen come to your location, so you do not have to worry about moving your rig. No matter what is wrong with your unit, our RV services are available at competitive rates, and the cost varies according to the repairs that are required. In instances where a new part is needed, we can get it for you. When you need a new water heater or air conditioner, our company works quickly to order and install it. When we work on your RV, you can rest assured that we will do the job correctly. We offer a one-year, local guarantee for people within 50 miles of Central, Texas. An active life driven by the power and versatility of an RV requires a proactive approach to maintenance and repair. That’s what you get when you let our friendly experts take care of your RV and camper issues. 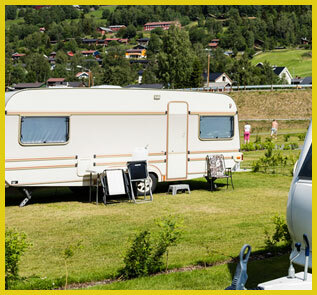 We provide complete RV repair in Central, TX, that keeps travelers on the road. When you need RV service, you shouldn’t to suffer through long waits or inconvenient drives nor should you have to tow your vehicle or risk driving in unsafe or uncomfortable circumstances. Instead, let our mechanics come to you. We offer mobile RV repair that meets you on your terms and solves your vehicle problems with as little hassle as possible. With our mobile service, shop-quality repairs are only ever a phone call away. Reach out to us when you need reliable RV or camper service that gets you back to traveling without adding a detour to your road map. Your RV is an investment in the freedom and joy that define your life. When it needs service or repairs, you want qualified help that protects the value of that investment. As an RVSA certified mechanic, we have the skills you can trust when you need camper repair. Contact us now to work with the area experts in RV and camper service. We are located in Troy, TX, and proudly serve Temple, Waco, Fort Hood, and Round Rock, as well as the surrounding areas.